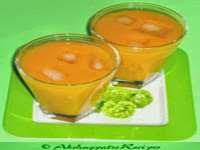 Collection of fruit juice recipes - During summer season we generally feel like to drink more juice and cold drinks. We experience the feeling of dehydration and thirst due to over sweating and fruit juice prevents those problems. It cools the stomach and comforts the throat. Fruits contain vitamins, minerals and are healthy drink which helps to provide required water content to the body. 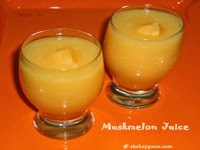 Various fruits are available throughout the year and making fruit juice is very simple. 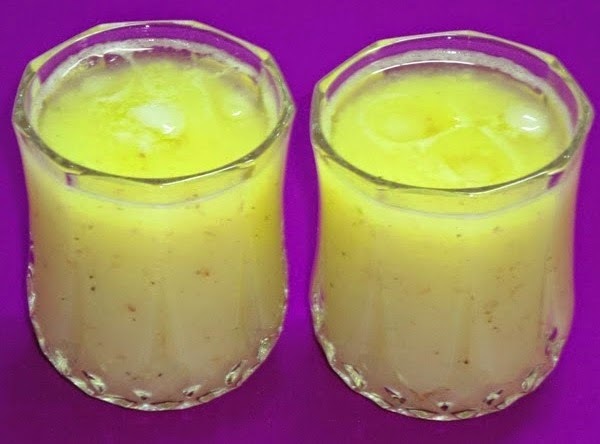 Muskmelon juice - Chilled muskmelon juice with a splatter of lime is the perfect refreshing drink to enjoy on a hot summer day. Muskmelons are low in calories, so weight watchers may eat this fruit regularly. It is rich sources of dietary fibers and helpful in soothing the acidity and also keeps the stomach cool. Orange juice - Oranges are rich in Vitamin C and it helps to improve immunity power of the body. 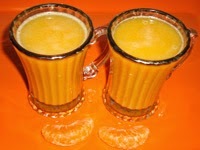 Fresh orange juice is very refreshing and comfortable. This juice helps to prevent dehydration and comforts the stomach and throat. Mango lemon ginger juice - This mango juice is a tangy and sweet juice made with mango, ginger and lemon juice. This is equally delicious like mango milk shake. For a change you can add lemon juice and ginger to have some different taste and flavour. 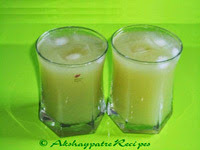 Green grape juice - Green grape sharbat, another thirst quencher, refresher and energy booster in the hot summer. It is made of green grapes, sugar, salt and lemon juice along with chilled drinking water. Grapes contain vitamin-C, vitamin A, iron, phosphorus and some amount of vitamin B-Complex etc. This sharbat is healthier as it does not have any preservatives. 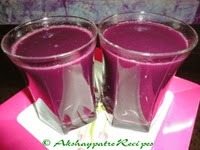 Black grape juice - This is similar to green grape juice. This juice is a sure thirst quencher and refresher. Lemon juice and ginger can be added in this juice to make a slightly different drink. Some kids do not like to drink black grapes. This is an alternative to other fruit juice. 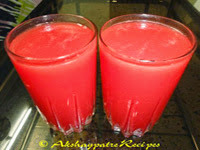 Watermelon juice - This is an ideal drink to use in summer. Eating watermelon is also a good option. But few people like to drink fresh fruit juice rather than eating fruits. Watermelons are available throughout the year. You can drink this juice in any season.